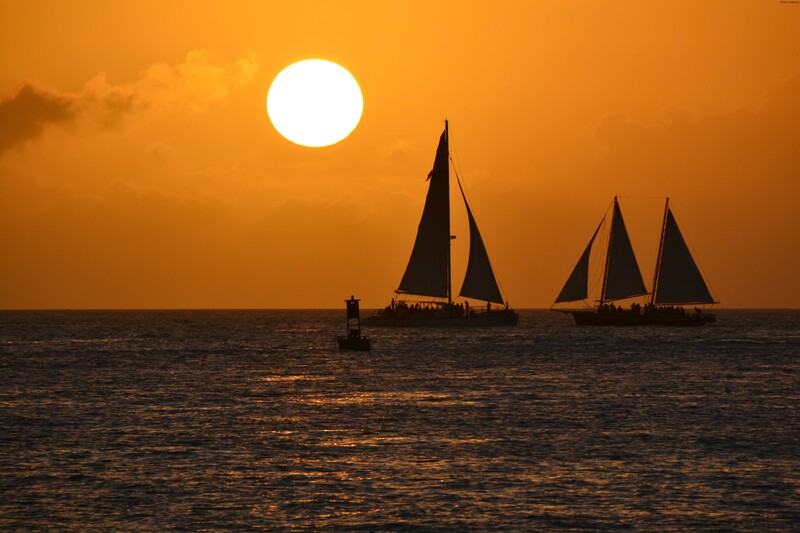 Key West is the southernmost point of the United States, the southernmost point of Florida situated at 140 km from Cuba. The place is absolutely amazing, the parties don't seem to ever stop here. 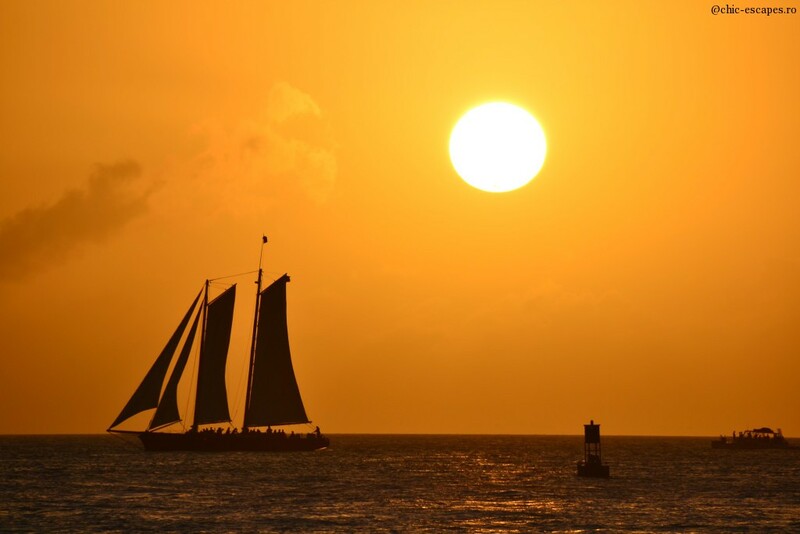 if you are in Key West, one of the top 5 things to do is enjoying the celebrations of the sunset and sunrise each day, at Mallory Square or by the Piers. 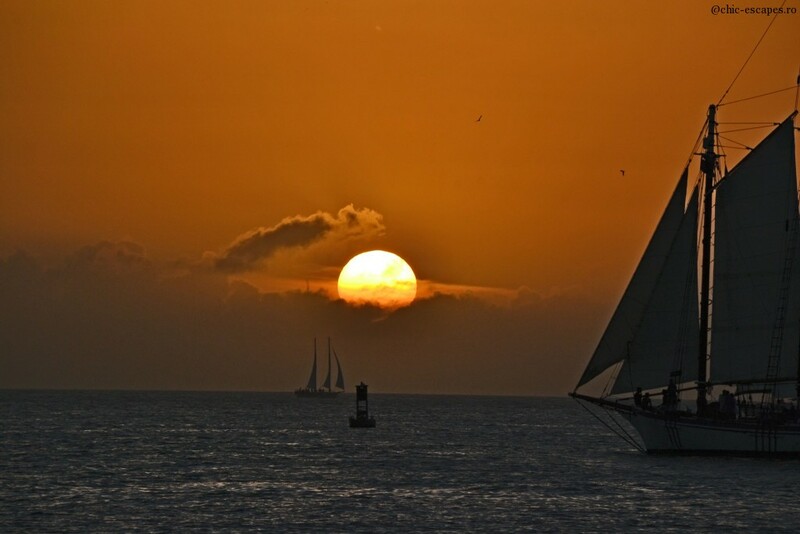 I'm not a morning person, so I had the chance to only enjoy the sunsets in Key West, at Sunset Pier. People gather along the piers and docks a few hours before the sunset, to make sure they have the perfect spot. I choose a perfect bar, Sunset Pier, with live music, lots of people, drinking, singing, dancing and capturing the best sunset pictures. It is the perfect moment to watch the huge cruise ships leaving the docks and making their way though the sea. 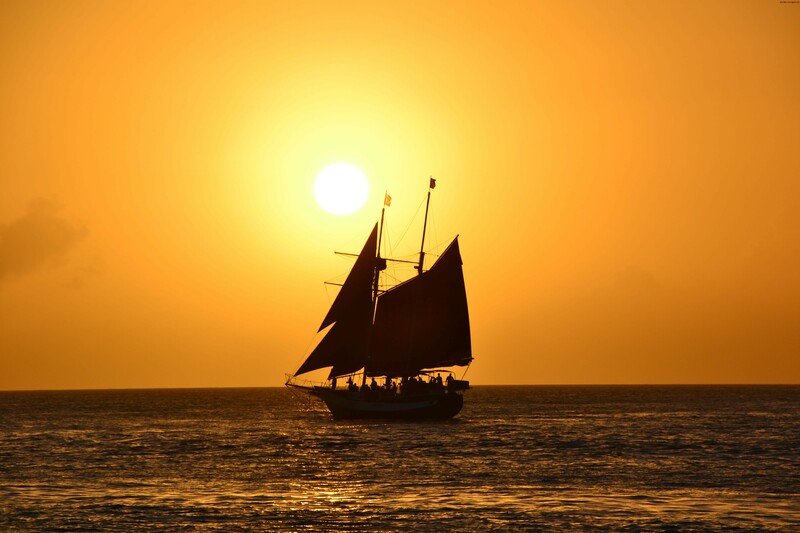 They say, the first cruise ship arrived here in Key West in 1969 and thousands of tourists from all over the world have visited Key West, while cruising around Caribbean, ever since. The unique of the moment I think it has to do with ships leaving the docks, while the sun goes down, minute by minute, shifting colours. of course you can even rent a boat and enjoy the sunset at seas. I watched the sunset from the Pier, with other hundreds of tourists, trying to get the best moment on camera. The entire moment reminded me of a English idiom, "they are like ships in the night".